Are you ready to get spooked this Halloween? 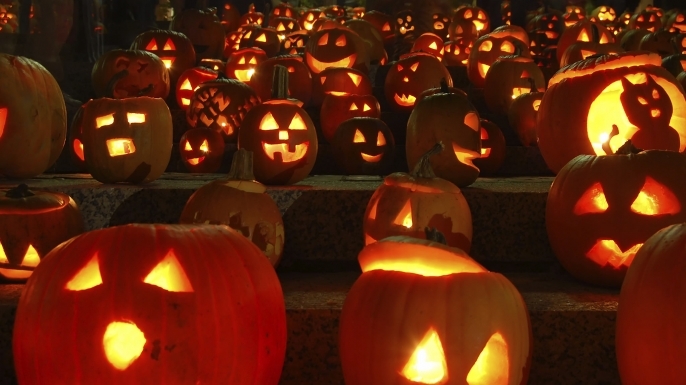 Maryland has some of the top rated Halloween attractions that you should attend this year. Field of Screams has four terrifying haunted attractions. They feature the Haunted Trail, Trail of Terror, Slaughter Factory, and Hades Hayride. Come join all the terror the night has to bring! Witness the mind-blowing, breathtaking thrills and chills of INTEGRATED MOTION TECHNOLOGY, ONLY at JASON’S Woods! A hayride experience like NO other! This season Jason’s Woods launches IMT to an entirely new level of extreme! 301 Devil’s Playground is Maryland’s Scariest Place for Haunted Houses. With 2 terrifying attractions: The Barn of Torture, And The House of Hell. Plus Zombie Paintball Ride, DJ, Food,lots of exciting entertainment and much more! The Beachmont Corn Maze is fun for the whole family! Join our Pirate crew for an adventure in our 6-acre interactive corn maze with 2+ miles of pathways during the day, or join us for an adventure in the dark. Farm visitors can enjoy hayrides to the pumpkin patch and corn maze, petting zoo, pony rides, Snack Shack, shopping in the General Store and Craft Attic for a variety of handcrafted items from over 45 local artisans. At Milburn Orchards you can enjoy the Fall Festivals, Farm Market & Weekday Big Backyard, Orchard View Lunch & Ice Cream Deck, and U-Pick Apple Adventures!